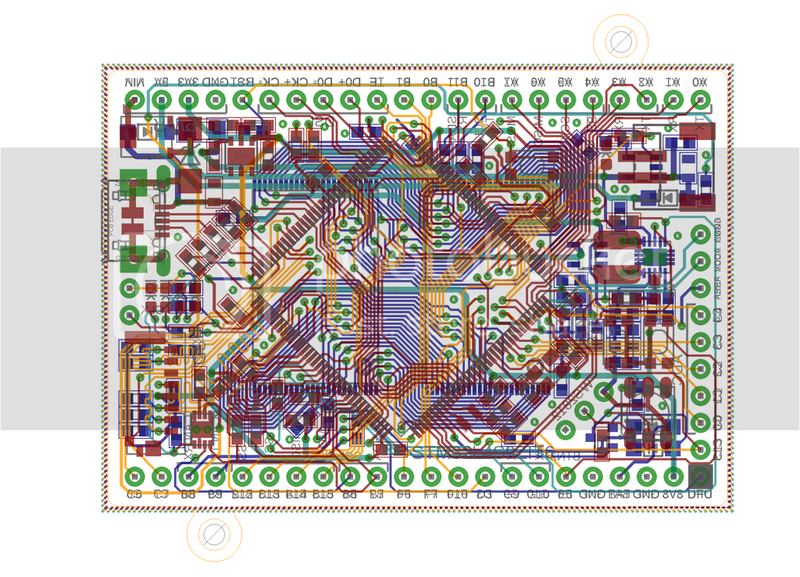 I've designed a board around STM32L4S9ZIT6 focusing on PSRAM support. Just wanted to put it out so if anyone is interested. I can send higher resolution images if requested. Last edited by Qute on Sat Aug 04, 2018 8:38 pm, edited 1 time in total. It looks interesting, but more information would be useful. Is it an open-source hardware project? Could you provide the gerber files and/or SCH/PCB files? 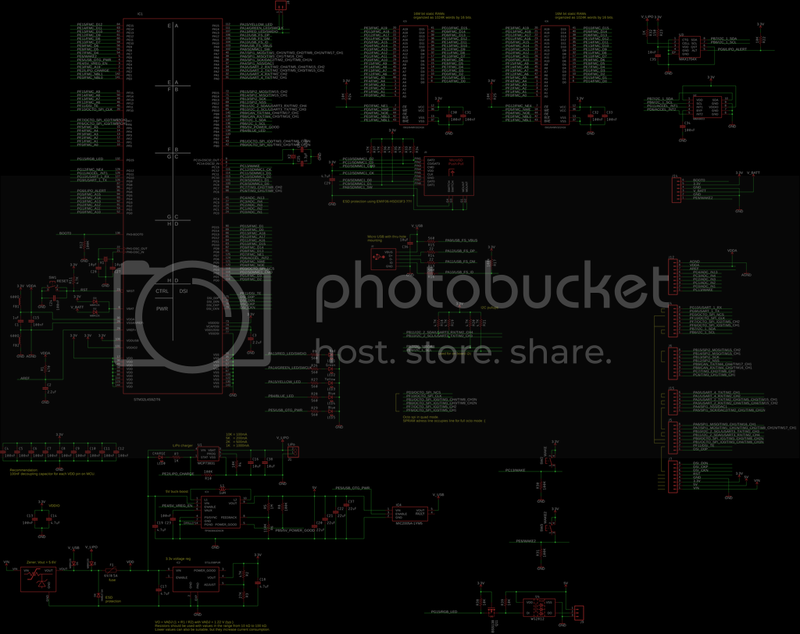 The schematic image is almost unreadable (black background). Have you tested MicroPython running with heap on PSRAM? Well I'm glad to share the files I just can't upload them here. The ISSI IS61/64WV102416DALL/BLL are high-speed, 16M bit static RAMs organized as 1024K words by 16 bits. So in total the board can have 32M bit spram. Or if you want you can have a cheaper version with only 16M bit (only 1 chip soldered on). * LEDS: 0603 red, yellow, green blue leds. Also one WS2812 RGB LED (1 data line output available to chain more leds to it) with 3.3v to 5v logic level converter on board. * Buttons: 1 reset and 2 user buttons. Both user buttons are hooked up to wake up pins so they can wake up the device. * Power supply: 3.3v on board voltage regulator. A buck-boost converter with 5v output which can be turned on or off via enable line (from CPU), the output can also be connected to the usb power line via enable line (from CPU). LiIon batty supported with it's separate JST_PH_2PIN connector. Charging and LiPo voltage level gauge is available on board. External battery for Real Time Clock (RTC) is also supported (no charging!). * Firmware updates: The board does not support firmware updates via USB. For this I think I'll use an ST-LINK and thus I made connection points for SWDIO and SWDCLK. The datasheet suggest that for DFU we could use I2C1 which is also wired out to connectors (B6, B7) but I think the DFU tool does not support I2C for firmware updates as of now. (I might be wrong). * The firmware status: I don't have anything yet. I'll dig into this and try to make my own. * The board status: Still protoyping. 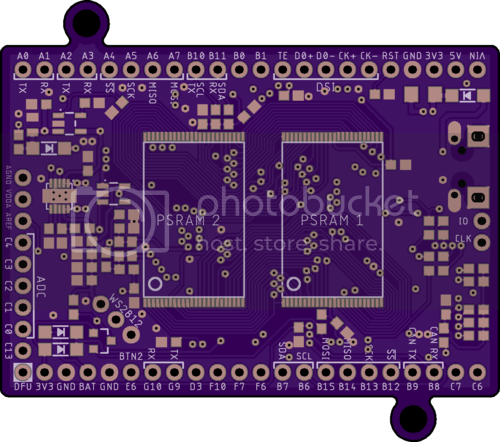 I've ordered 3 prototype boards from OSH park and experiment with them (could take a month or so to get them). * Pins: I'll try and make an exploded view showing what pins are available later. Feel free to use them but be warned that this is a prototype only. Thanks for sharing the information and the project files. I think it would be useful to place a project on GitHub. Yeah, I might put it on github.